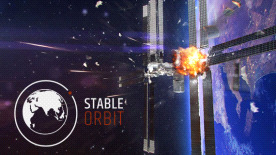 Stable Orbit is a highly realistic space management simulation game. Set in 2034, an unprecedented ‘All Nations Space Coalition’ has been formed around a shared desire to rebuild mankind’s permanent presence in space. But space is a dangerous place. The only thing between survival and your crew suffocating, blood boiling and radiation overdose is the thin walls of the space station. As Mission Controller, can your crew rely on you? As legendary NASA Flight Director Gene Kranz said: "failure is not an option". WCCF Tech - "I can genuinely see this being a great and time absorbing game to say the least. Please note: This is an Early Access Title.